I remember growing up I wanted to be three things, a Huxtable, from Cabrini Green and a student at Hillman College. (Judge Not, less ye be judged first!) I’m sure the wanting to be from Cabrini Green through most of you for a loop, but it will all make sense momentarily. As a young girl I remember being exposed to positive and influential women of color. Women who even though they were fictional characters (the only “reality” television back then was MTV’s Real World) I wanted to be like when I grew up. 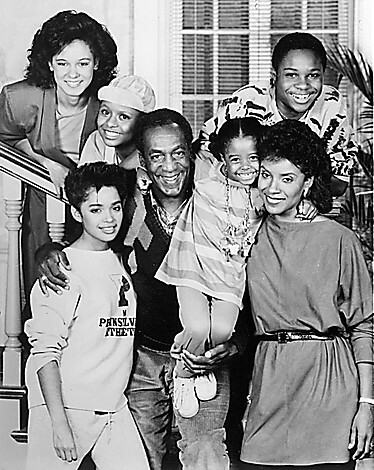 Claire Huxtable for starters, a wife, a mother of five and a lawyer. She was able to balance a full-time career, full-time parenting and her duties as a wife all while being extremely fashionable at the same time. Although we never actually saw them “argue” the Huxtables maintained a healthy marriage, open dialogue between themselves and their children, and never strayed from morals and values. Her character was well written and brilliantly portrayed by Phylicia Rashaad who even now is the upper echelon of what a beautiful black woman should be. Who wouldn’t want to be a Huxtable and have a mother like Claire? Then there was the ever so (well not so glamorous) life of Florida Evans. A stay-at-home (at least for a few seasons) wife and mother of three. Living in the ghetto slums of the legendary [Cabrini Green] housing projects in Chicago. (I’m a product of Nick at Nite) The total opposite of the aforementioned mother of five, Florida too was iconic and someone to look up to. Despite her circumstances she stood firm in her beliefs, impressed morals upon her family and did everything she could to provide and care for her family. Florida Evans didn’t have it all but you would never know it. 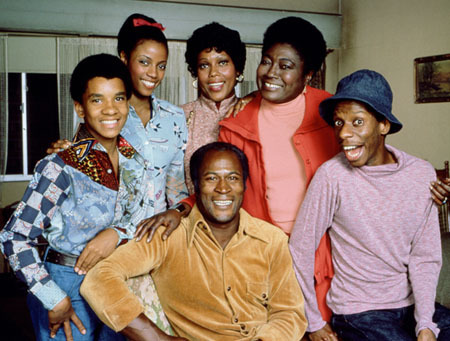 She was nothing less than a positive African-American [Female] role model during the times of “Good Times”. I’ll be honest, her along with Thelma and Wilona Woods are the reason I wanted to live in the ghetto of Cabrini Green and be neighbors with the Evans’. Moving from the ghetto to “A Different World” I just knew I was going to Hillman College. I was going to be just like Whitley Gilbert ( who grew up to be Dominique LaRue and really changed my life). Whitley (played by the beautiful and talented Jasmine Guy), while not the friendliest or the most personable person you wanted to meet she was iconic in many ways in African-American culture. Like Claire (considering “A Different World” was a spin-off of “The Cosby Show” so I assume stylists were the same) she was fashionable and is considered a fashion icon of the late eighties to early nineties. Whitley was no dummy, she was an art history and French major who came from a wealthy family in Virginia. During the show’s six season stint we were able to watch and relate to Gilbert as she endured life as a college student, from problems with coursework, to ups and downs in love, to successful graduation and eventually to becoming a wife and mommy to be. Who wouldn’t want to be Whitley Gilbert? I mean, it’ s a no brainer. Smart, Fashionable and Rich. Whitley Gilbert was all of that. Here we are, twenty years later since the final episode of “A Different World” aired and what women do young girls who were my age wayback when have to relate to? Has the age of strong positive African-American female leads come and gone? Some would argue no, and when asked to give me a name the first name to be given will be Kerry Washington in her infamous role as “Olivia Pope” on ABC’s “Scandal”.While I will not and cannot argue that Washington’s role as the power fixer is iconic and strong. (as I have been a Gladiator since the show aired) I would have to ask what is positive about her role? Is it that she has pull with the White House? Is it her ability to clean up the scandals and messes created by power players in DC? Or is it the fact that she is sleeping with the President of the United States [who happens to be very married]? What is it about Olivia Pope that makes her a role model to today’s [black] woman?